Written by Brook Reilly. January 8, 2015. 2015 kicked off with a serious cold front in Cleveland, Ohio. While opinions on the cold weather (and the snow) may differ between you and your neighbor, there are a few things every Cleveland resident needs to know to protect their home during the winter. While stockpiling a bunch of good movies and stoking the fire is key to your life at home during these months, it is also essential you make sure to keep your pipes from freezing. To prevent this from happening make sure to wrap your pipes in insulation in the cooler parts of your home. Pipes tend to freeze when the outside temperature reaches 20 degrees or below. Continued freezing and expansion causes an increase in water pressure between the ice blockage and a closed faucet, leading to the burst. Take preventive measures including allowing water to drip slowly from your faucets and opening cabinets in kitchen and bathroom areas to allow warm air to circulate. Taking these necessary precautions can save you time and money, and you will ultimately avoid the hassle that comes with pipes that burst. 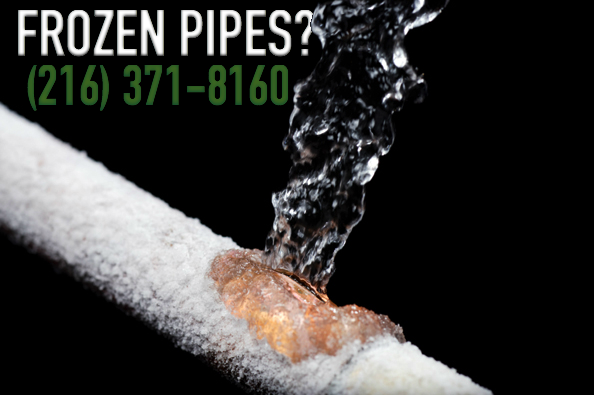 If your pipes have already burst, we are a phone call or email away. At Reilly Painting and Contracting, our team has years of experience insulating pipes and taking the burden off of homeowners’ shoulders. We provide a solution that is both efficient and effective. Filed under: Fix That Leak, Home Mechanic Tips.